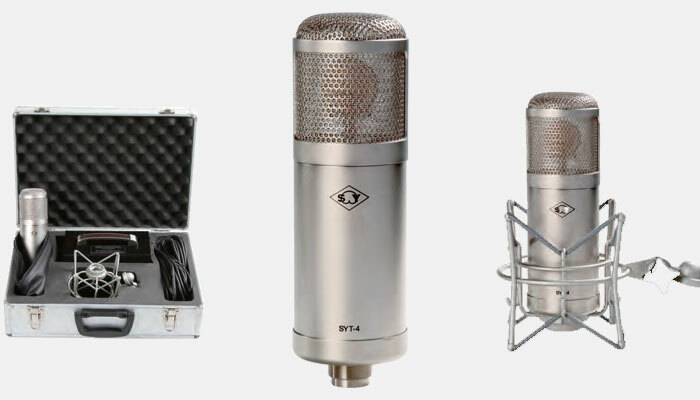 Products - Shanghai ShuaiYin Electronics Co., Ltd.
Shanghai ShuaiYin Electronics Co., Ltd.
SYT-4 is a tube condenser microphone featuring 9 different polar patterns. Patterns are remotely selectable on the custom power supply for ease of use in even the most demanding applications. The patterns include omni, figure-8, cardioid, and 6 intermediate stages. The tube pre-amplifier circuit uses Russia mini vacuum tube 6C31B-P. Also we have been used non-inductive film capacitors to improve the acoustic quality. The result is a full-bodied sound and warm tone characteristic of vintage tube microphones found in most professional recording studios. SYT-4 is highly recommended for professional studios and live sound applications where quality is of the utmost.